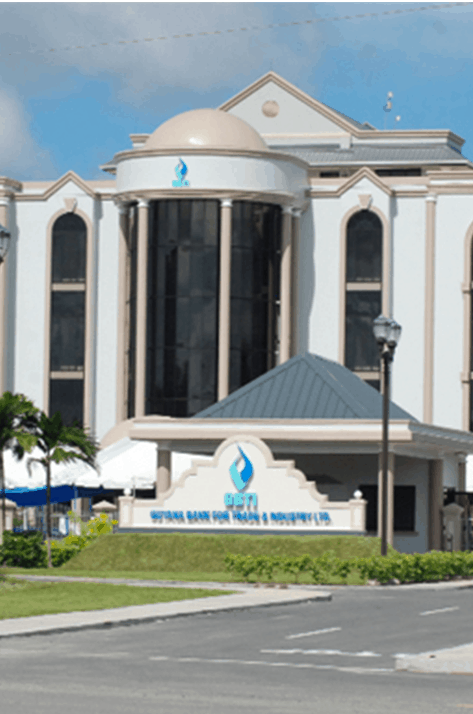 The Guyana Bank for Trade & Industry Ltd. (GBTI) is Guyana’s premier bank. Our rich and successful history dates back to the establishment of the first commercial bank in British Guiana. Today GBTI has a network of twelve Branches spread across the country, even in the most remote areas, in addition to our Corporate Office in Kingston, Georgetown. We understand the diversity of our customers’ needs, challenges and opportunities whether it’s buying a new home, car, planning your next vacation or retirement, saving for your child’s future or whether you are ready to take that bold step of becoming Guyana’s next Business mogul, we are with you every step of the way. We help our customers realize their dreams and we celebrate their successes. As your trusted financial partner, we provide you with over 180 years of experience, knowledge and dedication to support your goals. We offer a full range of modern banking services including Direct and Mobile Banking, access to 25 ATM’s and more than 235 Point of Sale merchants. Our large network of correspondent banks facilitates reliable and efficient international business transactions. At GBTI, we are more than just banking! We are a family. Our commitment extends way beyond the walls of our branches. It’s displayed every day in the opportunities we provide, the money, time and commitment we give back to communities across Guyana, in which we live, to help improve the lives of our Guyanese families and businesses as we see Guyana through your eyes. …access to 25 ATM’s and more than 235 Point of Sale merchants. To achieve a mutually beneficial relationship between the bank and its customers by providing efficient and quality services to both depositors and entrepreneurs in the tradition of courtesy and confidentiality through the harnessing of state-of-the-art technology, and the employment and training of a committed team. To be a reliable, efficient institution known for the use of modern banking technology; for being innovative while employing sound business practices. Messrs. Sievewright Stoby & Co.